As rumblings of a group trip continue I find myself making first mental notes of my kit list. There's still talk of Norway. Sunnmore has appeared on the list. I'm keeping my mouth shut in case I break the spell. One kit list quandary this time round is which Camera to take. It's been some years since I carried an SLR when backpacking, instead I've chosen to carry a compact digital point and press (the super-small Pentax Optio s). The original decision to move to a compact was a no-brainer really, my beloved old Olympus OM10 had been a faithful companion but, and although a radical camera in its day, it had already seen ten years of active service when I acquired it in the late eighties. It had seen better days. But, whatever it's condition and emotional value, there was no escaping it, as I strove to lighten the load, at a whopping 1700g the OM10 plus lenses, film and bag weighed over a third of what came to be my aim base weight for multi day trips and that just didn't make sense. What to do? A newer cannon EOS3000, although considerably lighter still came in at 1100g with a single, limited range, kit lens. The optio-s on the other hand, although bought with the intention of using it as a party camera, weighed just 120g complete with media card good for a 1000 frames and delivered, in most situations, an image quality that I found acceptable. Yes, the SLRS each pack much more functionality and control, but the weight coupled with the convenience of the digital format was just too good to beat. 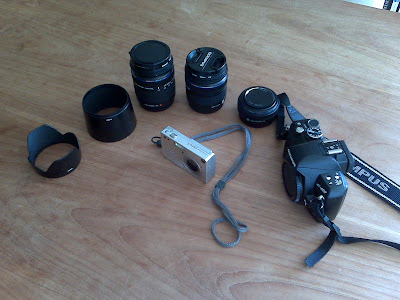 For six years SLRS haven't had a look in. Even the most convincing choices need to be re-evaluated periodically. The idea of going to a place like Sunnmore and not coming away with a stack of breathtaking photos troubles me. Photos have become increasingly important to me. When you make just a couple of trips a year revisiting those trips becomes more important. As I've already said, under most conditions even a simple, and now rather outdated, compact produces images which I find acceptable. The use of the words "most" and "acceptable" in that sentence give me pause for thought. Ideally, I want to be able to take outstanding photographs all of the time and, although my ability, or lack of it, as a photographer will prevent me from ever achieving that goal, perhaps the additional capability of a DSLR will get me closer? Perhaps the additional blood and sweat expended lugging a DSLR and the inevitable additional paraphernalia up the hill would be counterbalanced by the additional pleasure gained when scrolling through my photos in the aftermath? 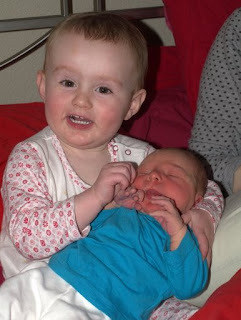 Besides, after a long period of sitting on the fence, the birth of Emily in 2007 motivated the purchase of a DSLR and my new system may just shift the balance. Rightly or wrongly, and both opinions are stated with passion on the photographic fora, I chose to run with the Olympus 4/3 system. The E400, at the time of purchase was the lightest and most compact DSLR on the market. Even so the body and two kit lenses still add up to just under a kilogram and that figure doesn't include the weight of my Lowe Alpine topload zoom 2 case which adds another 330g. At first glance it would still seem that a compact would be a better choice. But take a closer look and you see that that weight gets you a 14-42mm and a 40-150mm capability (in old money that's 28-300mm! ), the ability to capture raw files (and all that brings in terms of post processing potential) and far more options in non-ideal conditions, especially low-light conditions. Take all of that into account and it gets difficult again. Furthermore, with a bit of juggling and pairing down I can loose a lot of weight. If the big lens stays at home I've still got a respectable wide angle through to a useful zoom in the 14-42mm lens and the basic weight of the system drops to 660g. Now that begins to look like a revelation! The benefits begin to outweigh the negatives and the number begins to look like something that can be compensated for elsewhere. The Haglofs OZ pully instead of the Berghaus? 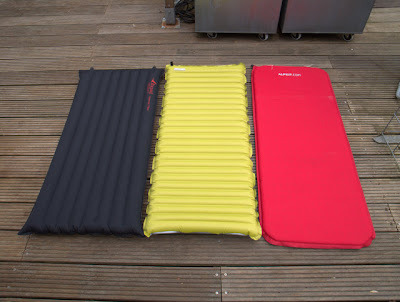 The NeoAir instead of the Exped down mat? I need to think about this some more. I also need to find an an alternative to that lead-lined Lowe-Alpine case! I can feel a home-build coming on. For the last six years or so a tarp, in one form or another, has found its way onto my kit list. However, I’ve mostly used one in combination with a tent. Whilst this may seem like overkill, on extended wilderness canoeing trips and when car-camping, where weight is less of a concern, it’s proved invaluable for use as a cooking shelter. Especially so in bear country where cooking in your tent is ill advised and on sites where camp fires are permitted and its wise to keep a significant distance between your main shelter and the flames. Although I’ve used a bivvy bag on and off since 2001, only relatively recently have I started using tarps as my main shelter on multiday backpacking trips. 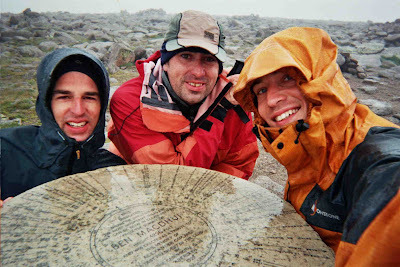 Since my first use of a tarp “in anger” in the cairngorms in 2005 I’ve been looking for my ideal backpacking tarp. A first run out strongly suggests that I’ve found it in the Mountain Laurel Designs (MLD) Grace Duo. As the name suggests the Grace Duo is designed as a two person shelter. The measurements are indeed such that two occupants can find ample shelter and need never come into contact with the sides even when pitched close to the ground in a steep A-frame configuration. 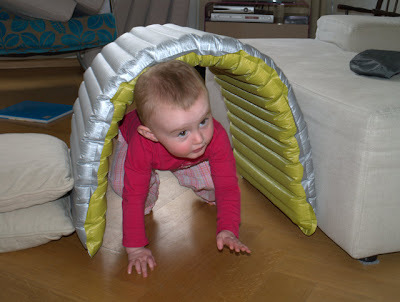 However, the low weight is well suited for solo use and consequently the Grace Duo represents a luxurious shelter for one person and all the gear they can carry with sufficient space to escape from wind blown rain. The Grace duo is available in three models; Silnylon, Spinnaker fabric and Spectralite versions, each with slightly different measurements and associated weights. I opted for the Spinnaker fabric (Spinntex). Lighter than silnylon and hopefuly more robust than Cuben fibre (I'm reluctant to try Cuben fibre since I've heard negative stories about the integrity of bonding on some tarps. For the Spinnaker model the ridgeline and baseline lengths are 297 and 281cm respectively, the front length is 280cm and the rear length is 238cm. The weight claimed by MLD is 303g and the weight of my example is within a few grams of this figure. For my set-up the more important figure, total weight of tarp plus guy lines carried, is 420g (before seam sealing). Close inspection reveals good workmanship throughout. All seams are neatly stitched and guy points are reinforced with an additional layer of bonded spinntex. Each of the twelve guy points is foreseen with a lineloc attachment mounted on a webbing loop. 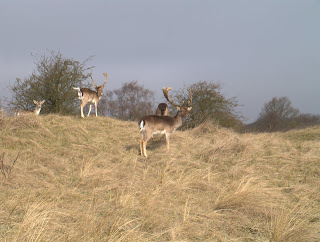 In the way of SUL gearmakers, MLD suggests that the user may want to dispense with the linelocs for a saving of around 30g and thus enable further weight saving by moving to thinner line for the guys and tie-outs. The webbing loops provide the user with the opportunity to tie on guys in the usual manner. However, I’m glad I didn’t act too hastily. In practice, I'm sure these little linelocs will prove their worth enabling one-handed retensioning of the guys with a simple tug on the dead end of the guy line, easily done when lying inside the tarp! In this case I think functionality easily justifies the extra weight. Ten guy points are distributed around the periphery with two at the ridgeline, one at each of the four corners and a further two on each of the two baselines. I’ve not used the Grace Duo in sustained high winds as yet but I fully expect that, when locked down with 10 pegs in a hard A-frame, the set-up will be highly stable. On its first outing in the Swiss-alps it certainly took gusty conditions in its stride. The final two guy points are found in the centre of each of the two panels and can be used to pull up the sides providing substantially improved head room. A nice feature when used as a two man tarp and an extra set of walking poles can be pressed into service. A very nice touch, and one that I think well illustrates the attention to detail in the design, is that one ridge line guy-point carries an MLD label. This enables effortless identification of the front and rear ends of the tarp when pitching. I’ve found this to be realy useful when pitching in a hurry. The webbing loops at the ridgeline are sized to accommodate the tips of walking poles but are also foreseen with grommets for locating the tips of optional Easton carbon ridge poles. Since I don’t like to use walking poles I opted for the latter but at 9mm outer diameter these seem a little flimsy. I can't comment on how these poles perform in combination with the Grace Duo since in the Alps the group had plenty of walking poles spare. 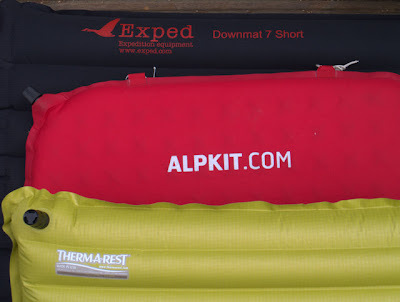 I did however use them in combination with a micro tarp (to be reviewed later)and, although the longer of the two bent alarmingly when guys were tensioned, they performed fine under the conditions experienced (which didn't include sustained high winds). At a combined weight of 79g the carbon poles bring the total weight of the grace duo to 1g short of 500g and provide a pitch with a rear height of 71cm (28”) and a front height of 107cm (42”). I can therefore sit comfortably in the apex. All very well, but I would not be inclined to use the carbon poles without a backup until I'm more confident in them. As somebody who doesn't walk with poles this poses a problem. I'll need either another solution when going solo or to be with someone keener on walking poles than myself. The ridgeline, baseline and front and back edges are all caternary cut. This is supposed to provide a super-taught pitch and indeed little effort is required to achieve a drum-tight set-up. 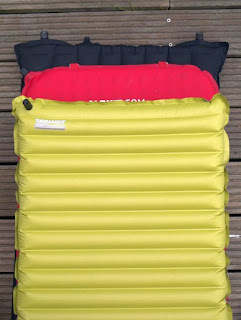 The super-thin Spinntex fabric is a little crisp-packet-like and I imagine could be rather noisy in a sloppy pitch. I’ve not had any problem with noise to date, its just so easy to get a clean pitch. A percieved disadvantage of caternary cut tarps is that they are optimized for one pitch (the A-frame) and are less adaptable for other pitching configurations. However, in my view, its better to optimize for the most used configuration than to compromise for all. Finally, MLD claim their seams are constructed such that they require application of significantly less seam sealant. I can’t pass meaningful comment on this since I’ve not sealed them. However, I can confirm that the ridgeline should really be sealed. On the alpine trip we experienced one very wet night (even by UK standards) and although not sufficient to cause serious problems a few drops did penetrate the ridgeline. All in all my verdict is that, my suspicions of the carbon fibre poles aside, the Grace Duo is a fantastic piece of kit. Light enough for solo trips but big enough to keep the weather out even in UK conditions. It’s designed for backpacking by somebody who clearly understands the requirements of backpacking gear. Ron Bell at MLD should be congratulated for a great design. He's even made the label indispensable! A confession, I’m about to post a review of a tarp. Now I know that the use of tarps in UK climates has its critics. In fact I’ve seen the subject discussed from both points of view quite passionately, so I guess I should state my opinion up front. Saying that tarps are not suitable for the UK is like saying convertibles have no place on British roads. Yes we have a wet and often cold climate, and yes on most days of the year driving with the top down wouldn’t be much fun but then there are those days when driving with the wind in your hair and the sun on your face is a shear joy. Some of the finest roadsters of all time were, after all, produced in Britain! Although I wouldn’t advocate their use under all circumstances tarps have their place. When conditions are right they are a joy (and I mean a JOY) to use. I have so few days on the hill that I try to squeeze as much out of each trip as possible. Bivvying and tarping helps me do that. It’s stated with monotonous repetition by pro-tarpers I know, but I get such a heightened sense of being outside (“immersion in the environment” I believe its called) when bivvying and tarping that they’re my first preference. I would now only resort to a tent when I’m forced to; when temperatures are going to be too low, when I’m using official campsites, when I’m going to be so far from civilization that easy bail outs are not readily available or when I’m with my wife and a greater level of luxury is required (she’s come a long way but I still have to pay for every night under canvas with a night in a four star hotel!). “What about the wet and the insects?” I hear people shout. Well, in all honesty, I’ve been dealt some really nastily wet nights and managed to stay dry as a bone under a tarp. 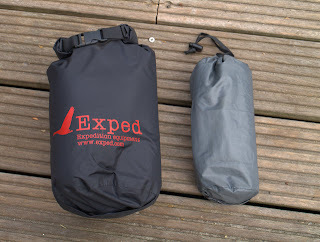 That said, I confess I still mostly use one in combination with a bivvy bag. As for midges and mosquito’s, I’ve seriousy never had an issue with them. I put that down to pitching high enough, but perhaps I’ve just been lucky. Ronald Turnbull wrote about being attacked by midges on the summit of Breariach. Admittedly, on such nights there could surely be no UK pitch safe from the misery of the midge, but I’m yet to experience such a night. “Surely they’re not stable enough in a wind” I hear people retort. I would say it has a lot to do with the pitch. A good tarp well sighted will take a lot of punishment. Likewise a bad tent pitched badly on an exposed site will give the occupants a rough night. Tarps need to be pitched with care and taking prevailing weather into consideration. The same could be said about tents however. Tarps and tents are after all branches of the same technology, they’re both cloth, sticks and string. One major advantage of tarps in my opinion is that they have little by way of a footprint. As long as there’s room for the occupant to lie down and tarp can usually be configured to provide cover. This allows for optimum use of whatever shelter the lie of the land offers. “What about comfort I hear people ask”. Well that’s where tents win hands down. A dry groundsheet to sit on, an inner tent to deal with condensation and catch drips, an awning to keep wet gear under and cook under etc. Correct, tarps don’t have those things but comfort is relative. It’s all about the expectations of the user. Comfort is no reason to condemn tarp use. Each draws his or her own line. Mine can be measured in the number of nights out. More than three or four nights and I would be inclined to use a tent. Less than that and I can take the hand I’m dealt with a smile and a philosophical nod of the head. Finally, I might be wrong about this, but I expect the most vociferous opponents of tarps are those who haven’t used them. To those people I would say try it. You never know you might just like it. All this talk of upcoming trips has got me all fired up. That Norway has been raised as a possibility just makes things worse. The far North exercises a strong pull on me. I don't fully understand why, but it has done for as long as I can remember. It's a magical place. Especially in winter. Of all the worlds landscapes it's the sub-arctic and arctic that appeal to me most. Perhaps that's why the Cairngorms, where the latitude and an extra 1000m contrive to create an arctic in exile, fascinate me so. One thing for certain, time spent in north America has taught me that I prefer my wilderness devoid of trees. In Colorado you can get altitude sickness on a walk in the woods. In Norway, getting above the tree line is within easy reach of even the most ardent desk Jockey, if you don't fancy the climb then just drive further North. One trip to Scandinavia stands out above all the others. In 2001 I joined a Norwegian friend, Randulf Valle, for a few days in Trondheim. On the itinerary, in addition to a beery night in Trondheim and a paddle in a sea kayak, was a fishing trip in Gressamoen National Park (now part of Blåfjella-Skjækerfjella National Park). Not just any old fishing trip though. A fishing trip that involved a days hike into a trout stream and two nights under canvas in some of the finest wild-country I've ever had the privilege to visit. The trip was made all the more special since it was spent in good company; the company of a man who is clearly equally at home outdoors as indoors. It wasn't all roses though. The first day was one of the wettest I've ever experienced in the hills. Something that just had to be got through. Norway's tourist tax. The final day, walking out under the September sun in short sleeves, made me appreciate all the more, that in what we do, you have to take what you're given. Normally the balance sheet evens out. Also special was the chance to be guided through the outdoors by a local. Outdoors people the world over have a lot in common, but there are also clear cultural differences. In the UK hillsport has its roots in Alpinism. The majority set out to go to the tops. The gear we use and the clothes we wear would be just as suitable, if not more so, in the Himalaya as in Locharber. 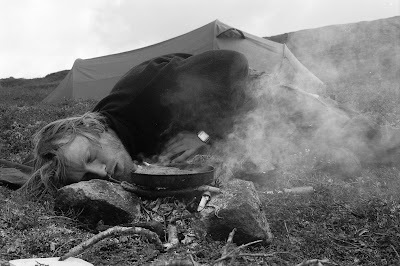 Bushcraft, survivalism, or whatever label you give it, is viewed by many with a cocked nose. Graduates of the Ray Mears School of the outdoors viewed with a suspicious sideways glance. Olive green clad, knife toting weirdos. On this issue, one weekend with Randulf, changed my perspective. In Norway a fishing rod and hunting rifle are as much a part of hillsport as Vibram soles and Goretex. Camp fires and real food under a starry sky lift the spirit to a place few YHA membership card holders could ever imagine existed. The ability to set and cook on an open fire or to gut a fish are all just part of the outdoors skill set. That's not to say that all Norwegians can do these things, but those who can are are seen as normal, fully paid up members of society. What did I bring home from that trip? For one the understanding that tops are nice to visit but they shouldn't get in the way of the real issue. Just the joy of being out there is reason enough to be out there. Also, learn to be at home away from home. Everything you need to live in comfort can be loaded into a rucksack. Why spoil a good day out by later eating indoors and sleeping in a bed. Get out, set up your tent, cook a good meal and sit back and soak up some more of the outdoors. For those still interested, here's a full report on my 2001 Gressamoen trip. For those who prefer just pictures look in my Flickr set or Picasa Album. With the first break in the dismal grey comes the first glimmer of a plan. There's been a sudden frenzied exchange of e-mail with talk of blocking days in diaries for a big trip. The same names as usual are on the send list. It started some years ago with a few local outings; kayaking in the surf, canoe camping weekends, but grew to include long weekends in foreign climes. The group waxes and wanes by a couple of head on each occasion but its core is persistent. The climes are normally wet, windy and cold. Mountains and bivvying are a recurring themes. Setting a date has been complicated by a string of new arrivals. Three of us, myself included now have sons of a few months and younger. Under such circumstances a weekend pass is that much harder to come by. Nevertheless, the pull is considerable. Anything short of a pound of flesh could be considered fair recompense for a big trip. This is the time of year when DIY projects at home tend to get finished. First comes the date, then must come a plan. As usual this will involve a few evenings spent bending over first time-tables, later maps and finally kit lists. This isn't a hardship. For this group, geography gets in the way of getting away. Any undertaking from a Netherlands base requires time, money and several forms of transport. For a group of frustrated outdoors enthusiasts planning becomes an important part of the whole. If you can’t get on the hill crack open a beer and plan some routes. Do this, preferably, in the company of friends. We almost have a date, it looks like it will be late in the year, probably September and, in good Blue Peter tradition, we have numerous half-made plans. Stockpiled routes, half ideas and long standing dreams scribbled on wish-lists. The task is now to work a couple up into doable and affordable schedules and set one into motion. A few possibilities have already been tabled. Scotland has made an early appearance Corrour to Fortwilliam via the grey corries, the CMD Arête and the Ben or alternatively Glen Etive to the Kings House Hotel tracing the high ground between Ben Starav and Sron na Creise. Other early runners include, the Swiss Alps (Kandersteg?) and Norway. Which will it be? Like all such decision making processes in Holland, democracy will play a role. Hearts and minds will need to be won. However, like all decision making processes in Holland, pragmatism may overrule emotion. Judging by previous trips we will have four days and five nights for which plane, train and bus time will have to be minimised and hill time maximised. Furthermore, like all decision making processes in Holland, a careful eye will have to be kept on the budget. All this promises to provide plenty of opportunity for some top drawer armchair adventuring!